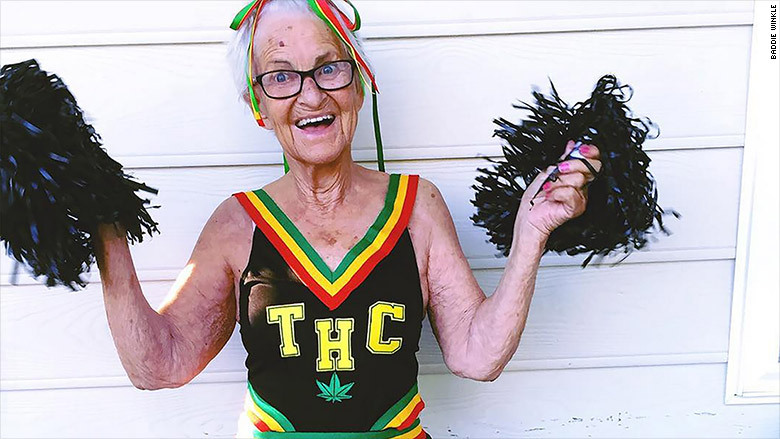 One post on Instagram can get Baddie Winkle 60,000 likes and thousands of dollars. She's building her brand by being provocative, flashy and sometimes controversial -- all at 87 years old. 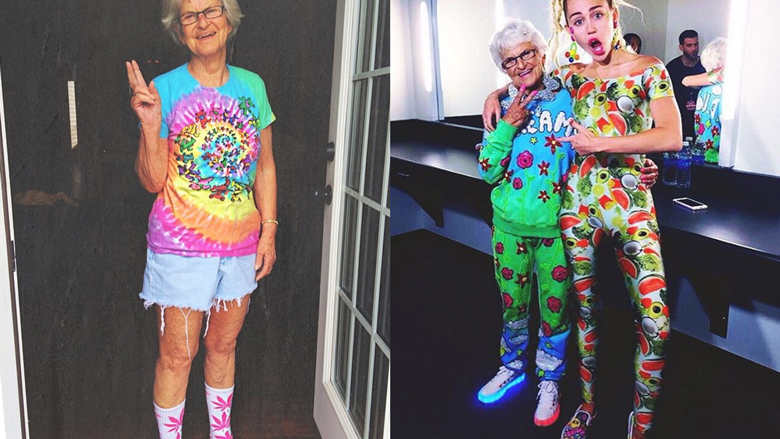 Winkle, whose real name is Helen Van Winkle, shot to social media fame last year when her great-granddaughter, 19-year-old Kennedy Lewis, posted a photo of Winkle in cut-off jean shorts and a tie dyed shirt on Instagram. "Kennedy would come home from school every day, and she would say, 'gram, come look, you're up 20,000 today'" recalls Winkle. "I mean, it just kept going." 1.7 million Instagram followers later, she's attracted fans from around the world. Her vibrant and, at times, controversial style has garnered the attention of fashion designers -- who send her their most out out-there duds for her to model. She's also attracted some pretty famous followers, like Miley Cyrus, Nicole Richie and Gwen Stefani. Winkle is just 100,000 followers short of Stefani's 1.8 million followers. "They want to be me when they get older," said Winkle. "They want to do what I'm doing when they get as old as I am." She's doing a lot. Brands are flying her in for appearances at events in Los Angeles, Las Vegas and New York. She's walked the red carpet at the MTV movie awards, appeared on Nicole Richie's VH1 show 'Candidly Nicole,' and will be featured in Paper Magazine's 'Break the Internet' issue, made famous by Kim Kardashian. Winkle can make up to $5,000 for a paid post on Instagram. Social media influencers can make up to $10,000 a post, according to Thomas Rankin, CEO of Dash Hudson, a company that helps brands monetize on Instagram. "Every brand we talk to has made Instagram its #1 priority," said Rankin. "We estimate brands will spend up to $1.5 billion on native advertising on Instagram next year." Baddie has attracted some famous fans, like Miley Cyrus. Winkle was born in Kentucky in 1928. Her social media tag line is "stealing your man since 1928." "I was kind of feisty," she said. "I was never shy. I loved to dance and do things when I was young." Winkle grew up on a farm, and spent 28 years working for Dresser Industries ordering gauges for machines. She spent her days with engineers and her nights raising her children and grandchildren. She would come to "every school event, every cheerleading competition, every band competition and athletic competition," said Dawn Lewis, Winkle's granddaughter. "She was always there." 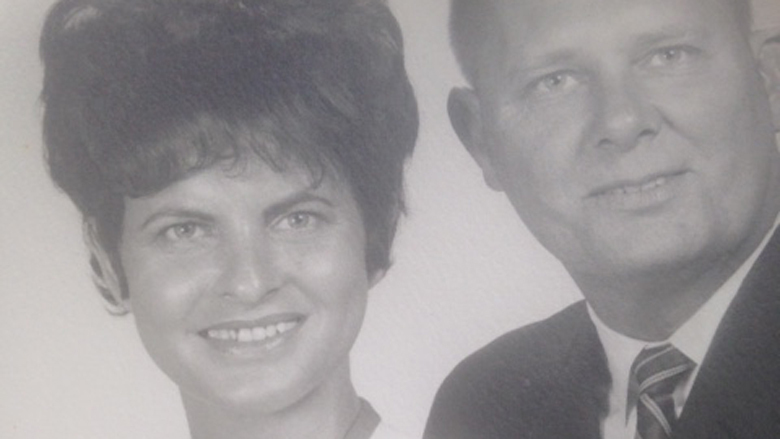 Winkle's husband, Earl George Van Winkle died in a car accident on their 35th wedding anniversary. Sixteen years ago her son died of bone cancer at 46. "I lost my husband and my son, and I got tired of grieving so, I reinvented me," she said. Baddie and her late husband, Earl George Van Winkle. Her reinvention is a family affair. Her granddaughter Dawn helps the new social media star navigate the entertainment business. Dawn has been referred to as Kris Jenner-esque and a "granddaughter-ger." "I'll say, 'do you want to keep doing this?' She's like, 'I love it,'" says Dawn. "I'm doing this for her, because she's my grandmother." Kennedy is Winkle's stylist and Millennial Whisperer. Together they pick out clothes, upload photos to Instagram, and come up with trendy captions. Winkle has fans of all ages, but teenagers are her key demographic. "She's always been just very outrageous in general," said Kennedy. "She's always flirted with boys, she's just always been different than other grandma's I've known." The family is capitalizing on their new found success. They are in talks for a reality show, a clothing line and merchandising. 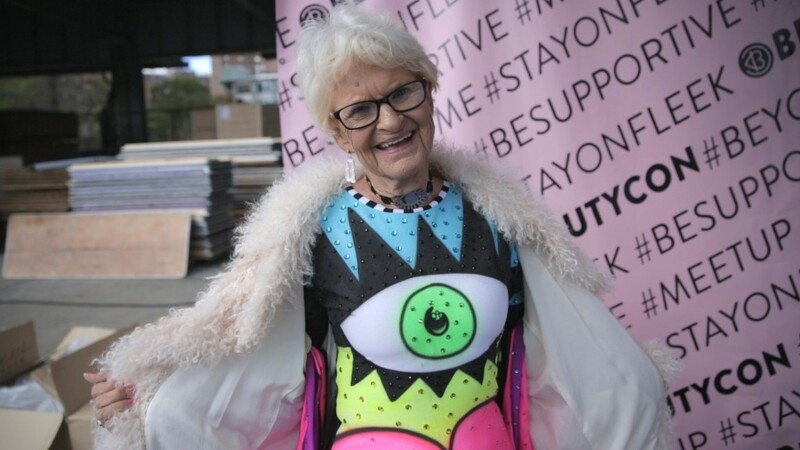 Next month Baddie Winkle shirts and hats will be sold nationwide at Kitson boutiques. Winkle will get a 15% cut. "I just hope that I stay in good health as long as I possibly can, and I do have good genes," said Winkle. "And I do look great in my jeans."